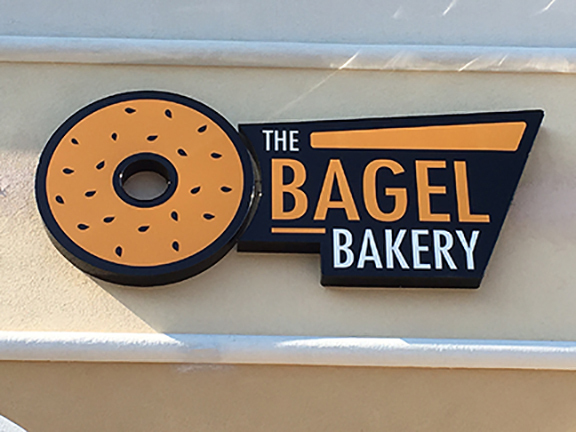 As of now, most of our customers know and love the Bagel Bakery for its delicious food and its friendly atmosphere, but they don’t know that there is actually so much more to love about us. First and foremost, the Bagel Bakery has been around for almost 19 years! 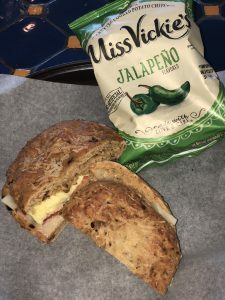 In 2000 we were a part of the Chesapeake Bagel Bakery Franchise, but then our owner, Ken Rembert decided to take us to become the independent Bagel Bakery. From the beginning, we have taken pride in making each one of our menu-items completely from scratch…. EVEN THE COFFEE! Every bagel that you purchase from the Bagel Bakery is guaranteed to be freshly and skillfully made by one of our staff. In addition to that, each one of our sandwiches, wraps and melts is hand-made to order with only fresh, quality ingredients. But this is not even the best part! Our coffee is also made in-house, thanks to Ken, who travels annually to Guatemala to import coffee beans while helping the farmers and their families there. 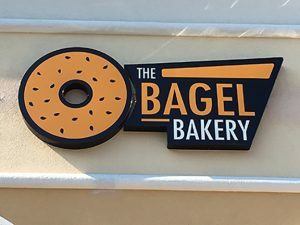 We here at the Bagel Bakery have taken pride in serving our customers and providing them with a welcoming, family-like experience for the past 18 years. After reading this, if you don’t love us even a little more than you did before, then stop by our store, try some of our freshly brewed coffee and make some great friends; we promise you’ll be hooked! As cliché as it may sound, breakfast really is the most important meal of the day. A good and wholesome breakfast can ensure that your body has all of the energy it needs to get you through the day feeling great! There is no better way to start your day than with a Santa Fe Focaccia – this month’s menu item spotlight from the Bagel Bakery. The Santa Fe Focaccia breakfast sandwich features a hearty combination of scrambled eggs with diced tomatoes, bell peppers and red onions all topped with cheddar cheese and placed in the middle of two perfectly toasted slices of sun-dried tomato focaccia bread. Not only is this breakfast sandwich delicious, but it is also packed with protein, vitamins and just the right amount of carbs to keep you energized so that you can reach all of your personal goals for the day. This month’s menu-item spotlight, paired with a cup of coffee costs just under $8 and will make you feel like the best version of yourself, we promise! So, if you’re tired of going to work or school feeling groggy and unproductive, stop by the Bagel Bakery and try our Santa Fe Focaccia breakfast sandwich!